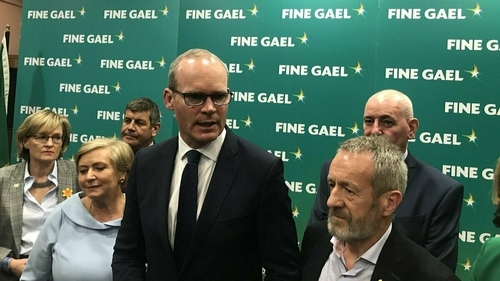 The Fine Gael party gathered in Wexford this evening for its national conference. The two-day meeting will focus on issues ranging from Brexit to health, housing and climate change. There will also be a strong emphasis on the upcoming local and European elections that will take place on 24 May. This is a conference happening on the southeast coast of Ireland, but inevitably its tone and subject matter will be heavily influenced by events in Britain. As ever the uncertainty caused by Brexit is casting a shadow here. Fittingly then, the main address this evening, which was delivered by Tánaiste Simon Coveney, was titled Ireland at the heart of Europe. That theme will be to the fore again tomorrow when Manfred Weber, the chairperson of the European People’s Party in the European Parliament, gives one of the warm up speeches before the Taoiseach’s key note address. Significantly too, there will also be some prominent political figures from Northern Ireland attending this conference. They include the DUP MP Jeffrey Donaldson, Alliance Party Leader Naomi Long and the SDLP’s Claire Hanna. The topic is pertinent as they will be discussing the future of north-south relations.